Tripadvisor.com is probably respected travel site on the internet, bearing a mind-blowing 75 million reviews. What makes it such a great site is how travellers can add their own reviews of things they’ve seen and places they’ve stayed. Tip: Click on the images below to see more photos the hotel. Given that Trip Advisor’s "hotels travellers recommend" pages incorporate so many people’s opinions they’re a great place to gauge what’s hot on the hotel scene. Inside a guest room / bathroom at the Hotel Bavaria. A discreetly modern, three-star hotel that seems to please everyone. The Bavaria has small but clean rooms, helpful staff and lovely buffet breakfasts – everything you really need. One little gripe is how they jack up the prices so much during Oktoberfest, but I guess that’s to be expected considering the hotel is just across the road from the Theresienwiese, the festival grounds. 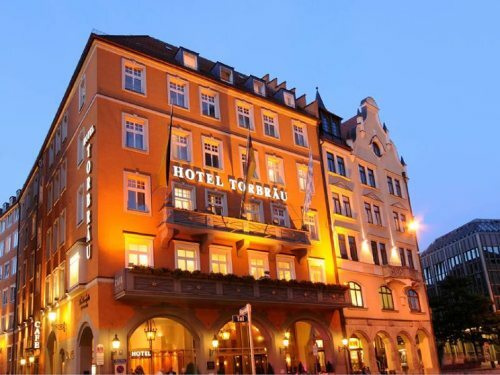 The Hotel Uhland is in beautiful heritage building just across the the Oktoberfest field. Another mid-ranger close to the Oktoberfest field, but the Uhland comes from the old school. 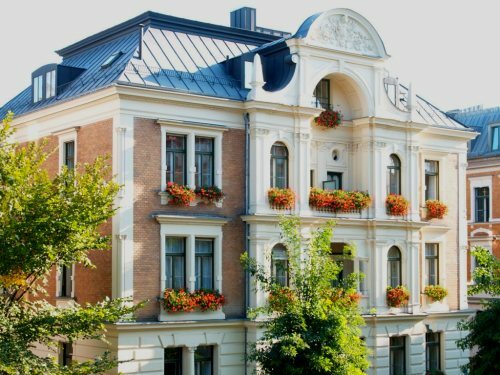 Guest rooms behind Uhland’s splendiferous neo-Renaissance façade are large by Munich standards, and staff are well-informed and helpful to English-speaking guests. Some rooms feature waterbeds (all aboard!) and if you can guess the age of the building when you make your reservation, they reward you with a free drink at the bar. Psst…It was built in 1889. The Thorbrau is deceptively old (its foundations go back to the 15th century) as its rooms radiate modern comfort. You can choose between either a quiet courtyard room or a berth looking out over the Isartor, one of Munich’s three remaining old city gates. A charming hotel, but some guests may find the compulsory walk up the stairs to the first floor elevators a turn off. A loft room at the Hotel Kriemhild. This kind of hotel is ideal for both older travellers and families with young children. Quiet and unassuming, the Kriemhild is in the leafy west Munich suburb of Nympbenburg, close to the same-named palace and the lovely Hirschgarten park. Guest rooms are clean and simple and the larger units have a corner sofa that can be converted into an extra bed. My favourite touch, though, is the Gunterstube, the small bar authentically outfitted with vintage Bavarian memorabilia. 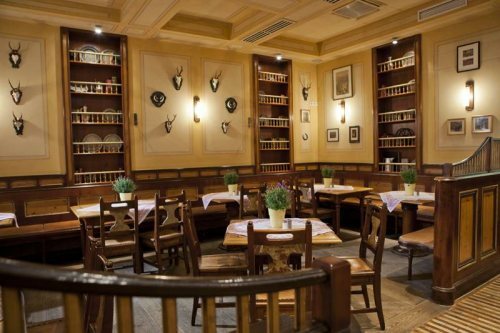 The Platzl Hotel's lovely Bavarian dining area. While top-end hotel chains can be lavish, but they tend to be a bit divorced from the flavour of the locality. Not so at the Platzl, which sits smack dab in the middle of Munich’s heart. Although the décor in the rooms is a tad outdated the well-stocked bar and Turkish spa more than make up for that. But above all I think it’s the Platzl’s top value for money and enviable location that have earned it a position on this list. 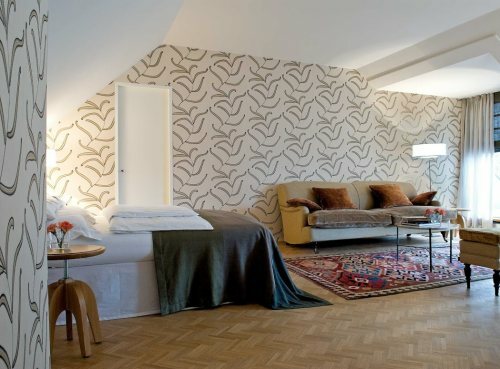 The Charles is one of Munich'smost sought-after addresses. Luxurious in every way, the Charles is Munich’s newest five-star superior hotel. 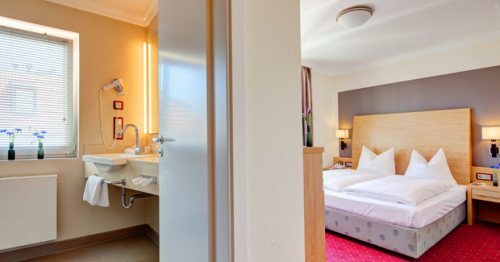 Guest rooms are wonderfully appointed and come with original Munich artwork and porcelain finishings from the city’s Porzellan Manufaktur. With an indoor pool, spa centre, bar and sweeping views of the Old Botanic Garden over which it lords, the Charles simply speaks for itself. 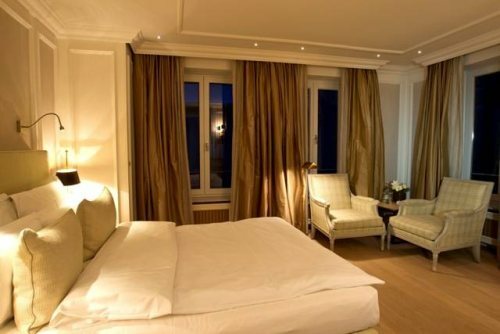 One of the suites at the Hotel München Palace. Surprisingly affordable for the luxury it offers, the Palace goes very much for "classic" luxury. 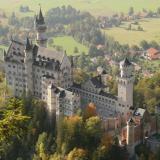 It sits across the Isar River in the district of Bogenhausen, home to some of Munich’s best theatres and concert halls. The showpiece suite is the "Music Room" which comes with a king-sized bed, open fireplace and even its own piano. The Cortiina's designer rooms are something to behold. It’s the fascinatingly individual design that sets the Cortiina so high up on this list. Some say it a re-imagined Alpine retreat, with oaken finishings, warm colours and feng shui design. The whole thing has a rather soothing effect, not bad considering its just a 5min walk from Marienplatz. The wonderful Laimer Hof in Munich's leafy west. This is a family-run, cosy-as-they-come number located in Munich’s leafy western suburbs. What it lacks in five-star features it makes up for in simple elegance. 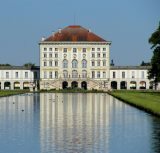 The Laimer Hof is walking distance to Munich’s lavish Nymphenburg Palace and botanic gardens. Beer gardens, restaurants and a subway station are also close by. 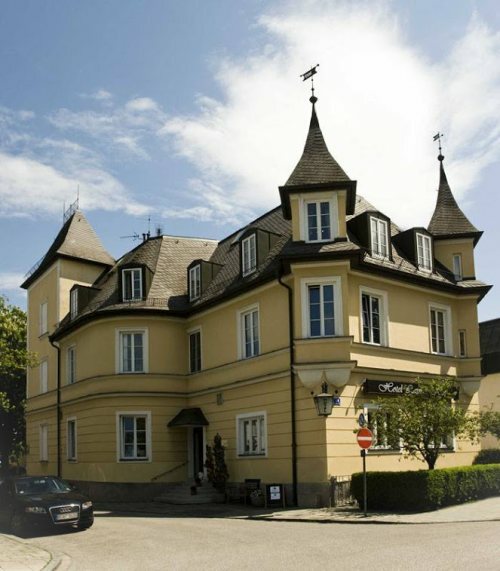 With rooms starting from just €45 the night the Laimer Hof is also eminently affordable. 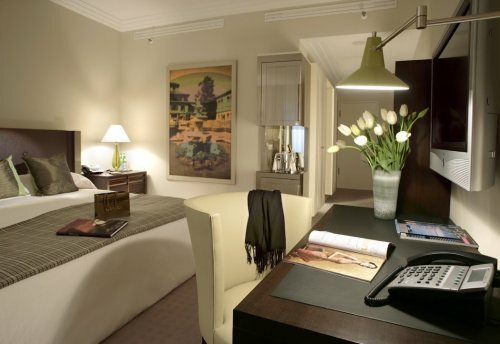 Top place: A room a the Mandarin Oriental Munich. Anyone who’s had the pleasure of staying at the "Mandy O" won’t be surprised to find it at the top of this list. The Mardarin Oriental ticks all the right boxes: Facilities – A Michelin-starred restaurant and rooftop pool for starters. Location - Around the corner from the Hofbräuhaus in Munich’s city centre. Service - The staff go above and beyond expectations. The Mandarin Oriental is truly the cream of Munich’s crop of luxury hotels.